The Mac operating system includes several assistive technologies designed to make it easier for a person with a disability to use the computer. 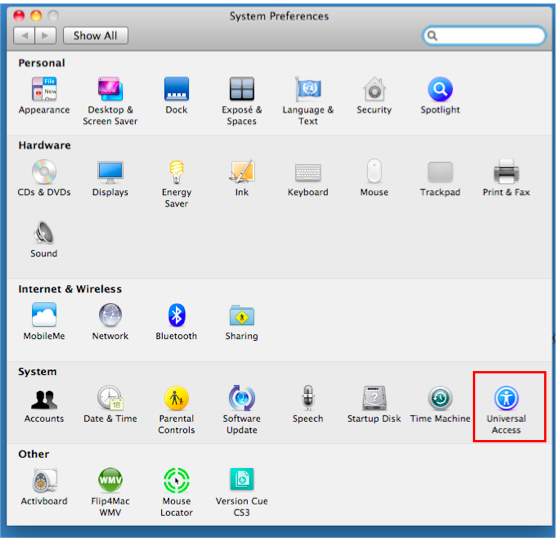 Whether you have difficulty with your vision, hearing or mobility, the features found under Universal Access in the System Preferences can help you set up your computer to meet your needs. Select a pane to see the settings you can set for specific disabilities or devices. The panes available are: Seeing, Hearing, and Keyboard or Mouse for devices connected to your computer. 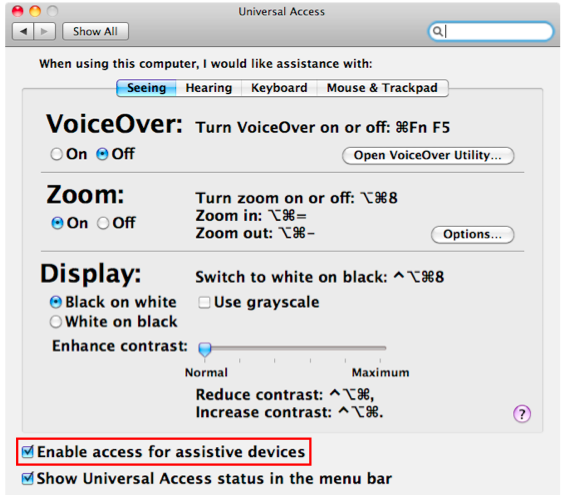 If you use an external device, such as a Braille reader, make sure to check the box next to “Enable access for assistive devices” at the bottom of the Universal Access window. 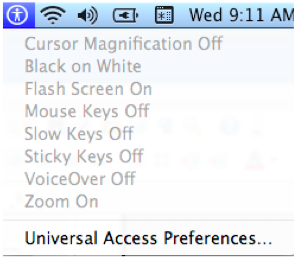 Choose “Show universal access status in menu bar” to display an icon in the Menu Bar you can click on to see which Universal Access options are turned on. 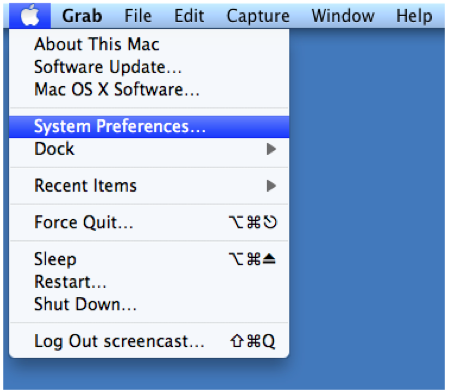 When you’re finished setting your accessibility options, close the Universal Access window to exit the System Preferences.